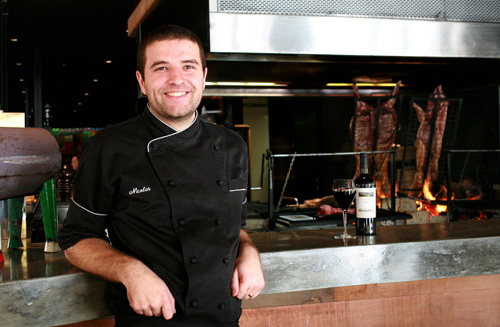 Chef Nicolas Arriola is a truly global chef who was born and trained in Argentina. Chef Nicolas has worked in restaurants all over the world including a 3 Starred Michelin restaurant in San Sebastian Spain and respected Grill restaurants in Budapest, New Zealand, Jakarta, China and Singapore. As head chef of La Boca Bar and Grill, Chef Nicolas is determined to bring the food of his homeland to Adelaide and ensuring the Argentinian style of cooking is as traditional and true as it can be. La Boca Bar and Grill Adelaide is an authentic Argentinean grill house that will change the way you think about barbeque. We smoke succulent marinated meats over wood for at least six hours to create an intense pit barbeque flavour that’s straight from Argentina. The result is meltingly tender meat that falls straight off the bone. Perfect for sharing, if you don’t devour them first yourself. Fantastic ingredients and big flavours take the lead at La Boca Bar and Grill in the heart of Adelaide.